Prominent & Leading Service Provider from New Delhi, we offer cross border taxation. With liberalization playing a key role in Indian policies, it has led to a multitude of multinational companies entering India. With the encouragement of foreign direct investment inflows into India there has been a liberalization of the Indian taxation scheme, the Government of India has come forward with ways to ensure that non-residents abroad make investments in India which is imperative for the long term growth of the economy. Special tax provisions are enacted in the statue to encourage the foreign investment through special tax concession and incentives. This interplay of domestic and international taxes incident on companies and individuals often results in complex situations. Converging on an optimum solution requires taking a holistic view on the “total” tax impact rather than a country specific examination. Our International Tax specialists offer services that successfully align all the different areas of taxation into a benefit-driven strategy that is reflected favourably in the various financial parameters. Our people and global resources are able to help clients develop and execute business strategies quickly and effectively, with strong accountability and governance. Our practitioners blend local country technical knowledge with appropriate regional and global insight on the latest developments in tax policy, legislation and administration. In the wake of globalization, most MNC’s today generate large portions of their taxable income, from other than their home jurisdictions. Thus, making transfer pricing an increasingly important issue among tax directors, boards of directors and fiscal authorities worldwide. The explosive growth in world trade in recent years, and the resulting increase in cross – border transactions between related parties, has catapulted transfer pricing to the forefront of important international tax issues. MNC’s of all sizes are finding their transfer pricing practices under increased scrutiny by tax authorities. 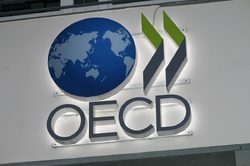 Fiscal authorities are policing multinational’s transfer pricing policies aggressively in an attempt to protect their tax base from erosion. We help clients ensure that all compliances in India are met and issues under litigation handled effectively. Advisory services in relation to the improvement/effectiveness of the cross border ‘Supply Chain’ process. Looking for Cross Border and International Taxation ?